Reminisce back to a time when we sat with a phone list making cold calls hoping that one in a hundred would land a new customer. It was a numbers game, and what you needed was time and patience…lots and lots of it. It doesn’t have to be that way anymore, and frankly it shouldn’t be. There are many tools to help you build your business and be more productive, perhaps so many that you don’t know where to start. Let’s talk about three simple concepts that can easily be implemented to improve any sales program. Someone out there is looking to reach the same target audience that you are. They may not be selling the same product, but they are searching for the same buyers. Depending on the nature of your businesses, cooperation can be a huge asset. Find out what they’re doing to reach these customers. How are they getting and holding buyer’s attention and driving interest? What challenges are they facing in these conversations? What sort of unconventional techniques are they using, and what feedback are they receiving that might surprise you? The other option is to look at your network for someone who is selling a product or service that is complimentary to yours. Is there a cross-selling opportunity? Could you possibly setup a mutually beneficial referral agreement, so that they are incentivized to keep your product top of mind when talking to customers. Information is right at your fingertips these days, so you should have no trouble learning about your potential client. Delve in deep! Find out everything you can about the company and their journey. Look to see if there are any challenges they might be trying to overcome for which you could provide a solution. If you can show them exactly how your product can help them solve a current problem, you are much closer to getting a deal. How is their world changing, and how does your product or service fall in line with new needs? Having the right timing with a relevant solution will ensure you and your message receive full consideration from your target customers. We all know that face to face conversations are the best way to create trusting relationships that lead to sales. With more clients being across the world or working from home, getting that face time isn’t always possible. The best place to start leveraging technology is with video conferencing and tools like Skype. These are a great ways to bridge the gap between visits, or put a face with a name immediately after a valuable new prospect shows interest. Touching base via phone, video, or in person is great, but at the same time you don’t want to be that needy salesperson begging for meetings, especially with busy high caliber B2B executives. There are other subtler methods using technology that can be leveraged to remind them to keep you at the top of their list. Platforms like Facebook, Twitter, Instagram, LinkedIn and other social media channels can help your brand stay top of mind with prospects and customers. By running ads where your customers are online, you can create a halo effect of awareness even when not directly communicating with them. The first place you might think to find business professionals is LinkedIn, but keep in mind that Facebook is by far the biggest platform with most active users. Think digital advertising just for awareness is too expensive? While Google Adwords has received a lot of corporate budget dollars of late, Facebook ads remain relatively inexpensive and untapped in the B2B world relative to the size of the audience and active daily use. A great way to most efficiently use an ad budget is by creating a Custom Audience of existing customers, or prospects that share the same traits as your best customers. There are even tools like this Custom Audience Builder that can help you pinpoint your exact buyers to show ads to. Leveraging available resources efficiently will push you ahead and allow you to compete in a world overflowing with noise and information. Use these three areas as a jumping-off point, the key is taking the first step and getting started to try and see what works. Use your imagination and let your network and technology do the heavy lifting for you! Great sales and marketing require a balance of art and science, which is why experimentation is encouraged – especially when it comes to email marketing. So where should you focus your creative efforts? Where should you apply rules and processes? Here are some tips from experience and best industry practices to make it a bit less daunting. Subject Lines – keep them short … and test. Even if you have the best body content in your email, to be successful, your email must be opened. Your subject line needs to be strategically crafted (about three to nine words long), with planned A/B testing and possible follow-up messaging to those that open but don’t reply. While you can’t put your entire pitch in the subject line, you should make it personal … and it should highlight what you can do for them. Email Body – brief, direct, personalized CTA. If you want to stand out, customize and personalize. You’ve put the time and effort into finding the perfect leads – now focus on a message that will intrigue them and address their needs. At this early introductory stage, be brief … direct … and don’t be selling. Your goal is to pique their interest and, if possible, foster familiarity through some common ground. Individualize each email so that the recipient views it as a natural message that they would get from a helpful colleague or peer in the industry. Go further than just changing the name on a stock email. Dig deep using the prospect data fields that are available to personalize. Finish with a low-pressure CTA to schedule a call or demo and be sure to include your full signature. Thanks to the omnipresence of information online, replicating an existing successful franchise model under a different brand name is simple – and getting increasingly hard to protect against. Before, a franchisor could preserve its brand identity because it was harder for others to learn about its operations, locations, marketing tactics, and business strategy. Today, entrepreneurs halfway around the world have everything at their virtual fingertips to research and create a similar enterprise at home. This may be a controversial one for some marketing pros and agencies, but from our experience, images, graphics, etc. do not increase open or reply rates in most B2B scenarios. There are, of course, examples of these styled campaigns that perform well for certain brands and target audiences. In general, however, natural-style emails receive more opens and replies than any other style when executed well. You’ve already invested time in framing your approach and gathering a target audience, so don’t skip this critical editing step. It should be an automated part of your content creation process, using experienced copy professionals to correct spelling, grammatical, and word choice errors. These simple mistakes will damage authority and credibility with your prospects, making it more likely for them to delete your message – especially since you haven’t established a relationship with them yet. You’ve done the work, now comes the reward: warm prospects. Don’t wait for them to shop, but at the same time, don’t be creepy. Same-day replies or call follow-ups are expected. Email auto replies acknowledging inquiry receipts are acceptable but should be looked at on a case-by-case basis. 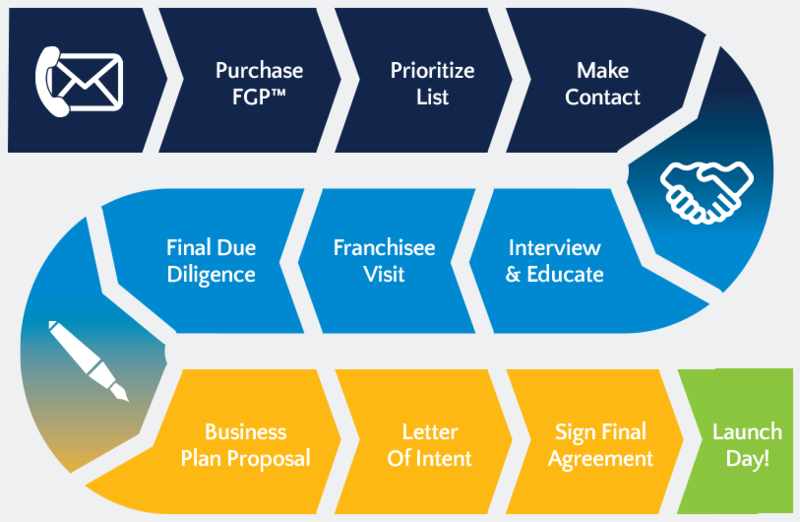 Most importantly, have a plan in place and a proven process for handling incoming interest. Seamless follow-up, education, and on-boarding will ensure that you optimize the ROI on your investment. Soon, new leads will blend with existing ones … and you’ll want to make sure nobody gets left in limbo. For this, there are easy-to-use reports that will tie campaign results for opens, replies, and other metrics and are packaged in a transferrable file. These friendly formats are flexible to upload to all major CRM systems and integrate into pipeline tracking, funnel progression, and closing metrics to tie campaigns to results. The bottom line? Keep it professional with a balance of useful personalization. Stick to these time-honored tips and you’ll be ahead of the game when it comes to maximizing your sales and marketing arsenal. If you’re looking for a reliable way to get ahead in lead generating and prospecting, buying B2B data could be a viable avenue to explore. Although some have philosophical reservations about buying contact lists, it is a proven strategy that can be an integral part of your lead generation playbook. The important part is how you use the data and apply it to an overall marketing strategy. Here are some key points to help you determine how much of a role purchased data should play for you, what to look out for with vendors, and how to best apply the data you purchase. Companies and entrepreneurs have been drawn to buying B2B lists since databases began. Who wouldn’t be interested in a tool that can save you from going after unqualified and uninterested contacts and organizations? Buying the right data to enrich your marketing and sales intelligence just makes sense when it is done properly. As with everything, knowledge is power. Here are some proven strategies for both avoiding potential pitfalls and maximizing your B2B data. Start with YOUR market – not someone else’s. Looking at pre-built lists to guide your data purchase decision is a recipe for waste, stale data, and disappointing results. If you haven’t shopped around to find services that can offer you a consultation and collaboration to create a totally customized dataset, you may not have looked hard enough. There are also services that offer wide-open access to their complete database, with filters that give you control of how to slice the data. These are typically subscription services that require an annual contract. Be aware of the limitations of these preset filters for your specific niche, overall completeness of the database, and make sure to verify for yourself how often the data is validated. Getting a sample of actual data that meets your criteria is essential in the evaluation process. No amount of bells and whistles can make up for questionable accuracy at the raw data level. Also, be sure to consider the quantity and frequency of data needed to keep your pipeline full. This will help determine which data solution will be the most cost-effective for your needs. Ask any established company who their target customer is, and they’ll most likely refer you to their website’s Customers page or a brand positioning slide on a pitch deck. In reality, this top-line answer is usually not close to defining core customer attributes, which is critical in creating the perfect list that is neither too wide, nor too narrow. This is where the expertise of a quality B2B data provider comes into play. The art is connecting and translating industry jargon and broad terms into crisp keywords and phrases. Fields like title, company, sector, and others can be divided in nearly infinite ways with a little imagination and the experience from having done it successfully, over and over again. Does the vendor appear credible online? Does their website look like they’ve invested time and money into it? What do customer reviews and testimonials say? Does the vendor offer free data or trial access? What is the minimum purchase size? Will you have a consistent, assigned representative to communicate with before and after the purchase? If the service is completely automated (no live representative), what is the process for getting a refund if the data doesn’t meet expectations? What key fields will you be using most – and are they complete and accurate? What is the main way you’ll utilize the data? What about data you already have that may overlap? Can the vendor remove duplicates against their database before you purchase? How will you measure the ROI of your data purchase? How will you integrate the data into your existing systems? Who will be assigned to follow up on the increased inflow of leads? Should they be tied into the purchasing decision? The more prepared you can be coming into the vendor selection process, the more confident you can be in the expected results and in identifying red flags that might get in the way of achieving desired ROI. Although it’s important to focus on the primary way you’ll utilize the data when determining what to buy and from whom, considering multiple usages for the same dataset can result in geometrically higher results. In the past, data would have come from lead sources that involved in-person, direct mail, phone or mass media advertising. With the advent of digital marketing, the dynamic of lead generation had changed – and will continue to change at a rapid pace. This means staying ahead of where your customers are looking and capitalizing on the best way to reach them where they are to create awareness and action. We hope you can apply some of the ideas in this B2B data list buying guide to your vendor evaluation and selection process to make data a more critical part of your B2B sales and marketing strategy. Ultimately, the right vendor and data should not only help you acquire new customers but should also give you back time to focus on revenue-generating activities like innovation and building existing relationships.